The Sin City (Las Vegas) is famous in the world for its casinos, pubs and night life. But, it is also strategically located to some of the America’s best outdoor attractions. Tourist attractions like Hoover Dam, Grand Canyon, Red Rock Canyon, Death Valley and Zion National Park are just a few miles away from Las Vegas Strip. 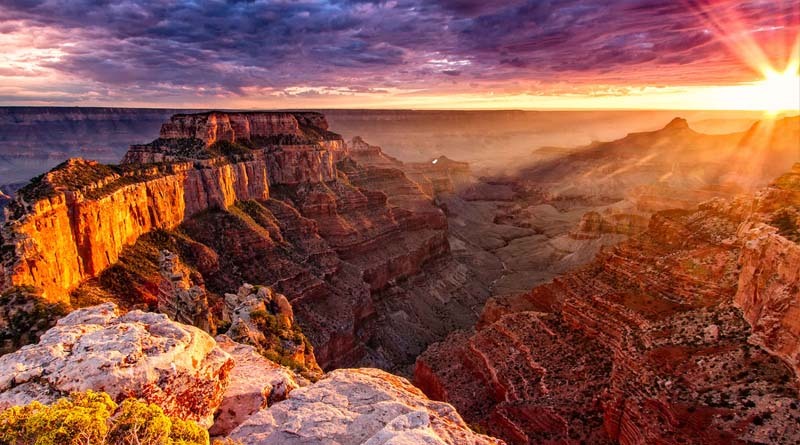 Just a few miles away from Las Vegas, the Grand Canyon is a famous canyon in Arizona, formed by the Colorado River. It is basically a National Park and s also a UNESCO World Heritage Site. The Grand Canyon may not appear far from Las Vegas over a map but just to let you know, it’s about 300 miles away by car. There is no linking highway and drive from Las Vegas to the Grand Canyon is roughly 4 hours. Therefore, a round trip will be 8 hours even if you spend no time at the destination. The excursion can be tiring if you cover it as a day trip. An overnight halt at the Grand Canyon can make the entire trip relaxing and enjoyable. With an overnight halt you can spend more time with your buddies exploring the area. For transporting 1-3 passengers, you can go for a black car service (typically an entry level limo like Lincon Town Car). To go in style and luxury, you can choose SUV like a Lincoln Navigator or a Cadillac Escalade which can hold up to 6 passengers and plenty of luggages. The traditional stretch limousine is always a best choice and can seat up to 8 passengers. For groups, a sprinter van is the best option which can transport up to 15 people. For groups of 20-40 people, you can hire a shuttle bus or a limo bus.